You are currently browsing the archives for the MCEA category. Thank God for President Trump’s regulators. After years of neglecting the riff-raff that serve as regulators, President Trump is installing a new breed of regulator. I’m certain it’s a shock to the environmental activists who’ve ruled the roost the last generation. That’s why it’s essential to clean out the barn and install new regulators that believe in the rule of law and the Constitution. “This is probably one of the worst picks he could possibly come up with to head the BLM,” explained Athan Manuel, director of the Sierra Club’s Lands Protection Program. “She’s very ideological, and does seem to be completely offended by the concept of federal lands,” he added. Along with our allies at the Izaak Walton League of America, the Union of Concerned Scientists and Wind on the Wires, the Minnesota Center for Environmental Advocacy and Fresh Energy argued, first in South Dakota, then before the Minnesota Public Utilities Commission (PUC), that the new plant was a bad idea. Our message was simple: The utilities had not proven the need for the energy, and what energy they did need could be acquired less expensively through energy efficiency and wind. We kept losing, but a funny thing happened. With each passing year, it became clearer that we were right. In 2007, two of the Minnesota utilities dropped out, citing some of the same points we had been making. The remaining utilities had to go through the process again with a scaled-down 580-megawatt plant. These environmental parasites don’t care about the environment. They care exclusively about their extremist agenda. They’re just upset that someone’s using their tactics against them. This pipeline shouldn’t be controversial, but Democrats are protesting the project claiming that it is bad for the environment. The problem is, replacing the pipeline is the best thing to do to protect our environment and citizens. If the existing pipe is allowed to corrode, the oil being transported in that pipe is at a greater risk of escaping into the surrounding land. What is more, transporting oil through a pipeline is far safer than transporting by rail. Let’s be clear about something. Environmental activists have fought every fossil fuel project in Minnesota for a generation. This isn’t just about the environment. It’s about stifling productivity, efficiency and endangering public safety. Environutters have been with us essentially all my life and probably longer. Right now, energy experts tell us that the United States is becoming “energy dominant.” At that same point in history, environmental activists are becoming more militant towards pipeline projects. That begs this question: which side are they on? Keep that question in mind the next time you step into a voting booth. The size of your heating bill depends on it. Is Resolution 54 vote a victory? First, the Range DFL survived Saturday, partially because all parts of the state were represented at the meeting. Anyone that thinks that John Marty will give up his anti-mining crusade anytime soon is kidding themselves. New incoming House Minority Leader Melissa Hortman hasn’t announce that she’ll take a more centrist, pro-mining position now that she’s the top-ranking Democrat in the House. That’s before talking about whether organizations like the Sierra Club, MCEA or Conservation Minnesota (which gets significant funding from Alida Messenger) will stop bringing lawsuits against PolyMet. MCEA’s mission is to file lawsuit after lawsuit against mining companies or utilities. Winning the lawsuits isn’t MCEA’s goal. Their goal is to wear down the investors until those investors quit. I wrote about that tactic in this post, which I titled Attrition, not litigation. Third, defeating Resolution 54 isn’t a victory because it didn’t approve a single permit for PolyMet or Twin Metals. The last I looked, Gov. Dayton hasn’t relented in saying no to the initial permits for the Twin Metals mining project. Now that Resolution 54 has been defeated and labor leaders are experiencing a mini-Kumbaya moment, it’s time to examine what the Iron Range won yesterday. I’ll return to that in a bit but it’s important to set this up properly. What’s important to notice about Saturday, though, is that that was a show vote. In yesterday’s setting, Democrats from rural Minnesota had a voice. All parts of the state had a voice. That dynamic changes dramatically in January. Does anyone seriously think that the Sierra Club will suddenly stop demagoguing “sulfide mining”? Will the MCEA stop filing lawsuits aimed at killing PolyMet? Will Minnesota’s Public Utilities Commission stop meddling in pipeline construction projects? Most importantly, it isn’t likely that Gov. Dayton’s administration will grant PolyMet the permits it needs so PolyMet can start growing the Iron Range’s economy. 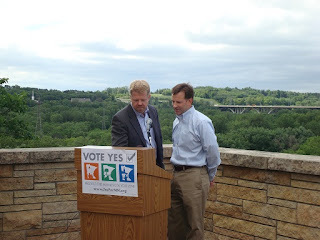 The final analysis of Saturday’s vote is this: while Environmental Caucus Chair Veda Kanitz and her supporters claim to have extended an olive branch to the Iron Range yesterday, it isn’t likely that environmental activist organizations like the Sierra Club, Nature Conservancy, MCEA and Conservation Minnesota will suddenly start fighting fair. These organizations aren’t mainstream organizations. They’ve got an anti-mining, anti-fossil fuel agenda. It’s worth noting that the DFL, as a political party, still supports shifting to renewable energy. Renewable energy won’t sustain mining operations. 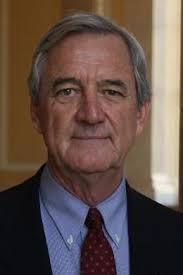 While tabling the resolution gained momentum, an impassioned Congressman Rick Nolan, DFL-Crosby, roused the crowd in the auditorium with a plea to truly unite by not taking a stance against the issue. Nolan was speaking on behalf of Sen. Amy Klobuchar, Sen. Al Franken and Congressman Tim Walz. Missing from that paragraph are Mark Dayton and Tina Flint-Smith. Their silence is deafening. The Iron Range won a minor skirmish yesterday. The thrill of that victory will soon fade. Organizations like the Sierra Club, Nature Conservancy, MCEA and Conservation Minnesota are in this for the long haul. Celebrate now because the battle is just starting. Ms. Sease apparently didn’t pay attention to the election. In battleground state after battleground state, voters rejected environmental activists. They turned the formerly blue states of Wisconsin, Michigan and Pennsylvania into purple states. The only backlash in sight is against the Sierra Club and other like-minded organizations. Thoughts that there will be a pro-Sierra Club backlash is wishful thinking. Additional tools environmentalists can use include citizen lawsuits, grassroots organizing, and ballot measures at the state and local level focusing on everything from renewable energy standards to green transportation initiatives. If you’re thinking that this sound like the DFL’s script for killing PolyMet and the Sandpiper Pipeline project, that’s because it’s the script that the DFL followed in attempting to kill PolyMet and the Sandpiper Pipeline project. That’s why the DFL constantly fights for additional layers of bureaucracy. They use those additional layers to petition government to kill projects with 1,000 paper cuts. 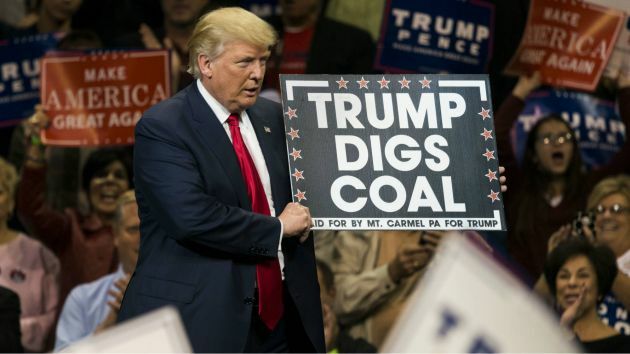 This time around, the administrative law judge ruled in our favor, saying the utilities had proven the need for, at most, 160 megawatts and had failed to prove that coal would be the least expensive way of providing the electricity. The Minnesota PUC approved the transmission lines into Minnesota, and we filed an appeal that is pending with the Minnesota Court of Appeals. That’s what attrition looks like. That’s why I titled the post “Attrition, not litigation.” At the time that this op-ed was written, Aasen was the executive director of the Minnesota Center for Environmental Advocacy. MCEA’s goal was to force investors to spend millions of dollars in court. That’s how they make cheap energy sources expensive. That’s why everyone’s electric bills keep getting bigger.